In this modern world, there is a rapid change experienced in the technology. In earlier days, communication was only based on telephonic conversation. But, with the evolution of time, this trend is changing and people are switching to web and mobile chats as a medium of easier and effective conversation. There are many applications like Whatsapp, Facebook promoting web chatting. Similarly on the same platform, chatiw.com is fulfilling the same. In this advancing world, most of the people are busy in their work and are not able to spare time for them and are being involved in various forms of stresses. Web and mobile chatting is the easiest way of interaction and at the same time provides relief to the person. Previously, people used to call each other and just made an interaction. Nowadays, by web and mobile chatting people are able to interact with everyone at convenient price. There are many facilities like video chatting, video calling, live dating, etc. This all makes things easier and convenient. People generally feel tensed of their hectic schedule but because of various dating sites, they feel relaxed and found the one with whom they can share their feelings, emotions and their other activities. These sites have bought them much closer to themselves. There is a new thing evolved with chatting. People generally use short wordings and at the same time, they have a good control over their language. They feel much easier in chatting rather than interacting face to face. It is making them confident to interact with the other person and express his views comfortably and slowly the hesitation of face to face interaction also decreases. Overall, this also helps in the personality development of the person. Thus, its quite important in day to day life. Many businessmen have found it important for promoting their business. Various business enterprises have made their online pages and promoting their products by online promotion and clearing the queries just by web chatting. Various online dropshippers like Amazon and Flipkart have recognized web chatting and mobile chatting as the easiest way to resolve various customer support queries. This is among the easiest methods and economically feasible too. 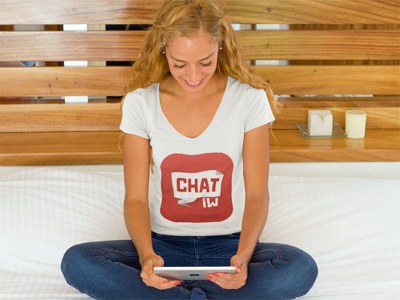 From the above, we can easily conclude that web chatting and mobile chatting is gaining importance in both commercial sector as well as in a persons personal life. It can be recognized as the best way to experience and pleasure.